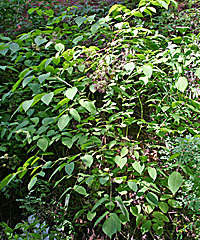 Wild Sasparilla, Aralia nudicaulis, middle Frijoles Canyon, Bandalier Monument, New Mexico, elevation 6,400 Feet, August 20, 2007. 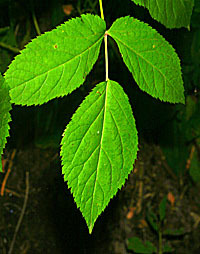 Plant 1.27 meters. tall, leaves (or leaflets) stem, opposite, large, doubly toothed, 15 cm long, 8 cm. wide. 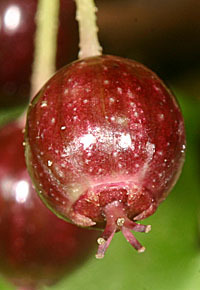 Fruit a dark red berry, diameter 6 mm. 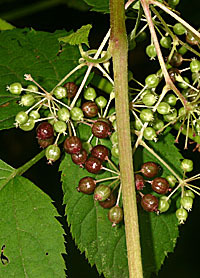 Berries in umbels with about ten berries per umel.